Sure, John isn't perfect. Those who still had a doubt heard it from his own mouth tonight. ​So yes, he's not a "Care Bear" and when he's angry, like, really really angry, he's violent. ​We had already witnessed it in TEH so tonight didn't really come as a surprise, but it still was really hard to watch because it felt like he couldn't stop himself. I don't know how far he would have gone if he hadn't been stopped by a third party. ​How do you feel about it? Does it make you feel uneasy? Or do you think it's a "natural" reaction. ​I don't know if he's always been like that or if Afghanistan made him, and I can understand he's been through a lot and all. I'm sure we have all expérienced situations where we were so furious that we could barely recognize ourselves. Well, I have, at least and I know anger can turn even the sweetest person into someone (temporary) violent. I don't remember John apologizing to Sherlock ever, for anything. 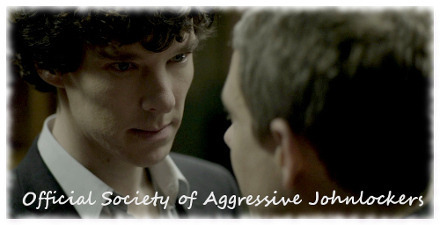 John's violence bothered me a great deal in TEH but I think I've accepted it since then as a part of his character. When he doesn't know what to do, he punches people (or kicks chairs). It's tremendously upsetting that he kicks Sherlock too but with all the angst piled up I'm somehow with Sherlock: I understand that he would allow John to beat him into a hospital bed if that meant John could vent any of his bottled up grief and guilt and aggression. Yes, that and he had to "go to hell". I think we need to remember that John did not put Sherlock in that hospital bed. The drugs did. I don't like John hitting Sherlock, but he is still dealing with a lot of pent up grief and rage. I also think we need to remember that Sherlock made no effort to protect himself. And even high as a kite I still think Sherlock would've been able to block a lot of John's violence if he had chosen to. That doesn't make any of it right, but we need to factor it all in before we pass judgement on anyone. This is a messy situation from all sides. It was really really wrong . Very reminiscent of TEH , only the over the top drama queen version. But was it necessary to be THAT violent?? I couldn't even watch! "Don't talk out loud, you lower the IQ of the whole street!" "Oh Watson. Nothing made me... I made me"
You are right tonnaree, I've somehow forgotten about the drugs, seeing how the three (?) punches in the face and several kicks in the gut would put anybody into a hospital bed. I agree that it was a f-up situation, tho. Tonnaree; Yes, that's right. I had thought too quickly and had "forgotten" about the drugs and the fact that he was, indeed, dying way before John hit him. ​Then, like I said, I understand John's reaction (i don't support, but I understand and I don't judge as it would be the pot calling the kettle black), though this time it was very extreme. ​And of course, Sherlock didn't do anything to stop him, that was the whole point. I understand that too. ​In TEH, I could forgive John easily. I'm not saying Sherlock deserved it, but after all, he had lied to John and had let him grieve two whole years. ​In this ep, ok, I can acknowledge that the moment John beats Sherlock, he is convinced Sherlock is responsible for Mary's death. Ok.
​But when he realised it wasn't the case, the least he could do was apologise to John! And not just saying it wasn't his fault Mary died. ​I can understand violence when you are under such a stress, I can, I swear, but it doesn't change the fact violence is NOT right. ​If John doesn't apologize properly to Sherlock for having beaten him up, it'd feel like violence is ok. Like "Oh, alright, John tells Sherlock he isn't responsible for Mary's death so all's well that ends well and we can move to something else!" Well, no, it's not fine. It wouldn't have been fine to beat Sherlock that bad even if he had hurt John in whatever way, but it's even worse to beat him when he hasn't done anything wrong, and not even apologize! Maybe an apology doesn't need to have a specific wording? I was actually surprised how composed and SURE John was when he told Sherlock Mary's death wasn't his fault. Maybe it's the best and only apology Sherlock ever needed in that matter. Sorry to say this but John is a real A hole this series so far. Interesting thread. I hadn't even really thought about John's violence in this way. It's like we take our cues from the show's characters sometimes in brushing things off. Like when Lestrade asked John should they have seen it coming that Sherlock stabbed (stabbed at?) Culverton. John reminds him that Sherlock shot Magnussen in the face, but they ignored the implications. And since Sherlock didn't hold John's violence against him, the seriousness of what he did kind of slid by me also. John definitely went a little overboard, but I can see how all the frustration and pent up rage would come out this way in that moment. Not saying it is right, but I can understand why they played the scene that way. John IS frequently angry or miffed at things Sherlock does, but I cannot ever remember Sherlock being angry at John or retaliating in any way. Clearly, he could have fought back as evidenced by the fight scene at the pool in Six Thatchers, but he chose not to defend himself. I think Sherlock did not defend himself here because he felt he deserved it and also he may not have been up to it due to being high, but maybe he also allowed it as part of his plan to lure Smith into killing him. Maybe as a way to ensure he would be admitted to the hospital? I wonder how much of what Sherlock was doing was actually acting and how much was real/emotional/drug related. Fascinating episode with many twists! "Is that why you're calling yourself Greg?" You know what? I simply can't handwave John's abusiveness away. We always, always give John a pass. But this time, I think he went waaaaaaay too far. Being on drugs is not an excuse to beat on someone. Being hurt and wounded is not an excuse to beat on someone. What about Sherlock's hurt and pain and anguish-- which made him relapse? Would we be happier with him if, instead of hurting himself-- he beat up John? Using the "he's so hurt" explanation to justify John repeatedly kicking a seriously ill man who was down on the floor, bit defending himself-- isn't that victim blaming? Enabling an abuser? I agree. But I'll say this: it kills any notion of johnlock for me. I don't want John in a relationship with Sherlock-- because it's inherently abusive. There's an actual pattern , now. 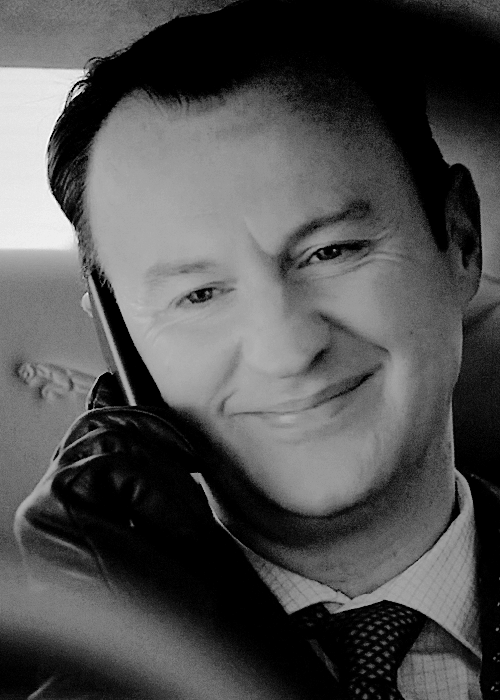 I pin my hopes on the last bit of the 221B dialog, when John says he wants to be the man Mary thought him to be. I hope he knows that punching people is a big no-no. Just like Sherlock knows (now) that emotionally abusing people is a big no-no too - thanks to John, basically. The beauty of the symmetry can be achieved only if Sherlock saves John the same way John saves Sherlock. They've gotta learn stuff from each other to "complete each other as a human being". I think that the problem is (for me, anyway) that Sherlock doesn't have a reason to help John stop being abusive to him, because he thinks he deserves it. The dynamic is skewed. 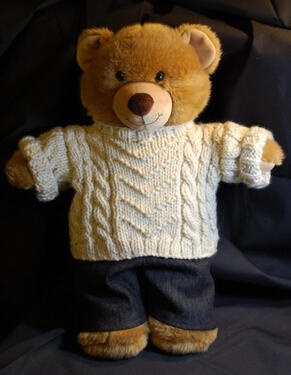 Sherlock will forgive John anything and everything, John-- forgives nothing, and thinks of Sherlock as (his) monster. I don't see how this can turn into a healthy relationship. It makes me unutterably sad. But seriously, John is growing. He will get there at some point. Sherlock cares infinitely for him and cuts him a lot of slack. Maybe John needs exactly that. Both are broken/dysfunctional men that have been healing each other from day one. They will get there - that's the whole point of this show. Well I think John's violence towards Sherlock is done now. He had to get it out of his system and Sherlock seemed to accept that. I guess... I can't imagine anyone just kind of glossing over this kind of abuse, if Sherlock were female. And-- that was abuse. It's the kicking-- no less than 7 times-- in the torso, to a man that was already sick. I mean, I know I'm supposed to just get over it. But I'm having a lot of difficulty letting it go.